Here in the U.S., we're celebrating National Small Business Week (April 30 – May 6), an annual event hosted by the Small Business Administration that recognizes small businesses and entrepreneurs. 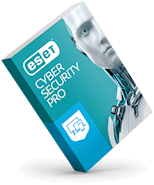 ESET has been a champion of small businesses for nearly 30 years, providing IT security to defend them from cyberattacks, as well as providing free tools and resources, like the ESET Cybersecurity Awareness Training launched today—free of charge so businesses can easily educate their employees. Our recent survey shows just how acute the need is for cybersecurity training in the workplace, and the eagerness employees have to receive it. Organizations not only need dependable technology, but also informed and educated cyber-aware employees. With research showing that 52 percent of all data breaches are caused by human error, no one would disagree that businesses benefit from having a cyber-educated workforce. Over 30 percent of respondents said they receive no cybersecurity training at their organization (at all). 49 percent of respondents indicated they would take a cybersecurity training course at their organization, even if it were optional and they were not compelled to attend. 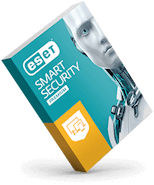 53 percent of respondents would like to see cybersecurity training in a mix of formats (including video, live presentation, and a document with tips). The higher the respondent’s annual income, the more likely it is the respondent received cybersecurity training at their organization. The full survey results can be found here. Get a snapshot of the data with the infographic below. We have always been proponents of cyber education. Yes, you need technology to help keep the hackers out, but humans are still an important part of the equation; we believe that PEOPLE + TECHNOLOGY = A SAFER DIGITAL WORLD FOR EVERYONE. We know IT budgets are tight, and organizations often cannot allocate resources to conduct training. 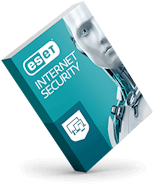 We hope ESET’s free Cybersecurity Awareness Training helps lessen this burden. The modules cover a wide variety of topics, including phishing, password policies, email protection, two-factor authentication, and much more.